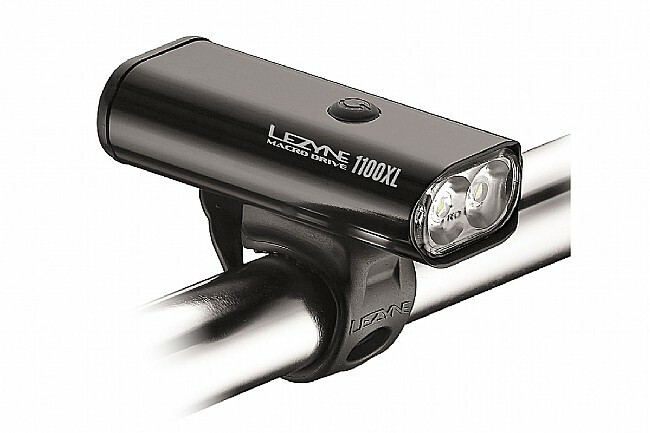 Lezyne’s Macro Drive 1100XL yields up to 1100 dark-defying lumens, slicing through shadows and obscurity like a steak knife through butter, to reveal the true nature of what lays ahead. Compact and made from weather resistant, CNC machined aluminum, this headlight is equipped to be your constant companion throughout the year - rain or shine. MOR (Maximum Optical Reflection) Optics technology optimizes the beam pattern and lumen efficiency of the Macro Drive’s LED bulbs for reliably bright and focused illumination. Seven modes of operation - flashing and static, spanning 15 to 1100 lumens - allow you to adapt to whatever conditions come your way. At dusk or dawn, you might gravitate to the “economy” mode - 150 lumens with a 10 hour run time. If you find yourself in unusually dark conditions you may find the "overdrive race mode" particularly handy. Once engaged, overdrive race mode allows you to toggle between its most powerful, 1100-lumen mode and 150 lumens without having to cycle through all 7 modes each time, like toggling between your car’s high beams on a dark, unlit road and headlights as oncoming traffic approaches. Blast - 650 lumens, 2hrs 30mins. Enduro - 450 lumens, 4hrs 30mins. Economy - 150 lumens, 10hrs. Femto - 15 lumens, 78hrs. Flash - 150 lumens, 19hrs. Pulse - 150 lumens, 18hrs. 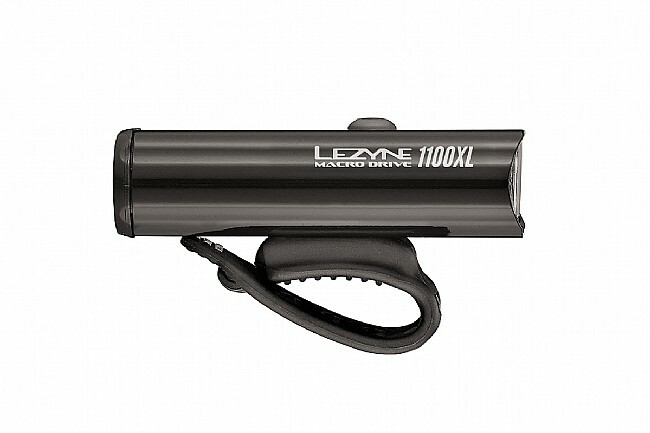 Overdrive - 1100 lumens, 1hr 20mins. 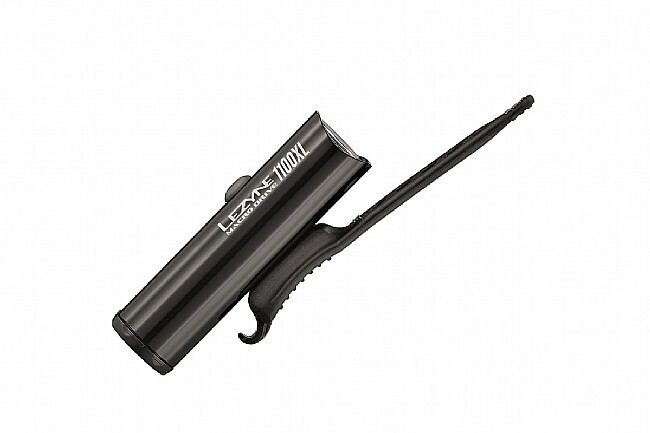 Excellent choice of illuminationbattery life modes that really work in the real world. Strap works well, light is excellent. Highly recommend. Good light spread for a front bar light when it is on high riding dark single tracks. My night rider light lasts longer and I use that on my helmet with this one in my bars.